Want to discuss the lastest film release or maybe discuss your favourite TV show. Come mumble amongst friends! No one has mentioned the Greatest F1 Driver Of All Time Was on Top Gear on Sunday tarting himself out to LadaProtonAnyoneGotAnySpareCash?LotusRenault. Possibly his finest career moment - spending half a day with Clarkson without lamping him. Motoring show. Jeremy Clarkson, Richard Hammond and James May head to Italy for a supercar shootout featuring the Lamborghini Aventador, the McLaren MP4-12C and the Noble M600. Their trip starts at the incredible Nardo test track, a facility so massive it is visible from space, before heading north for a nerve-wracking drive around the centre of Rome. The journey concludes at the legendary Imola circuit, a track challenging enough to have embarrassed many an F1 driver, with a timed challenge against the incredible skills of the Stig. 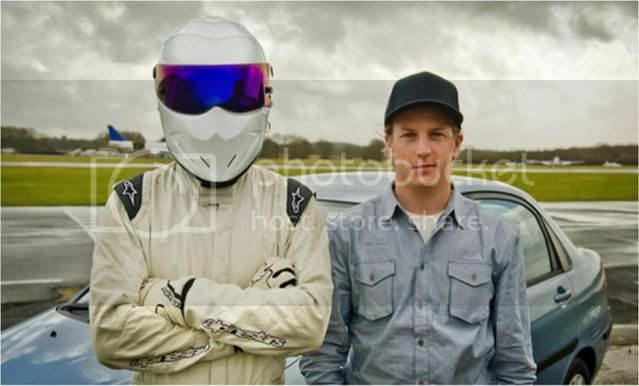 I am ignoring the easily amused Pepper and posting this for Cat.....I wonder if the stig has hidden his cornettos well enough ? 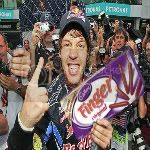 Anj x wrote: I am ignoring the easily amused Pepper and posting this for Cat.....I wonder if the stig has hidden his cornettos well enough ?